This is a review on the B40-C A118 DashCam, there are several different brands that will slap their names on but from what I’ve seen they’re all the same. I prevent confusion; I put a link to the one I recommend in the description below. If you have any questions please leave them in the comments below and I’ll do my best to answer them! 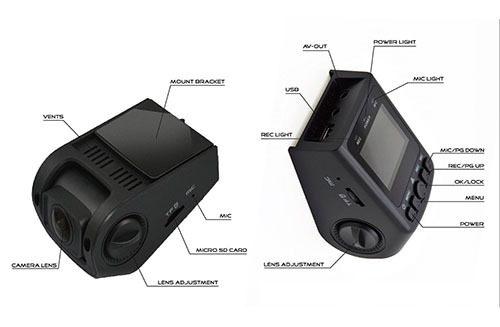 There are a couple versions one with a capacity and one with a battery. 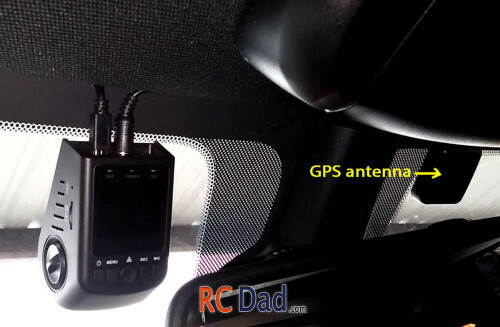 You can also get it with a GPS antenna which you can see here. I hid mine between the window and the interior lining. Most cars should have a little space to hide your wires. It only took me a few minutes and you can barely see the wires. The big problem with batteries is they are more sensitive to heat and being that this thing is sitting in the hot sun I went with the capacitor version because once the battery fails on this, it’s pretty much done. Plus the battery only last 5-10 minutes once your car is turned off so it’s not like it does much good anyways. 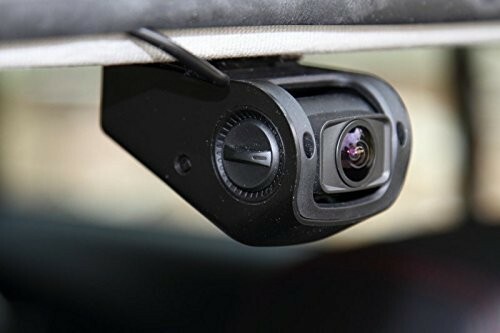 This dash cam is one of the best on the market for less than $100 bucks. 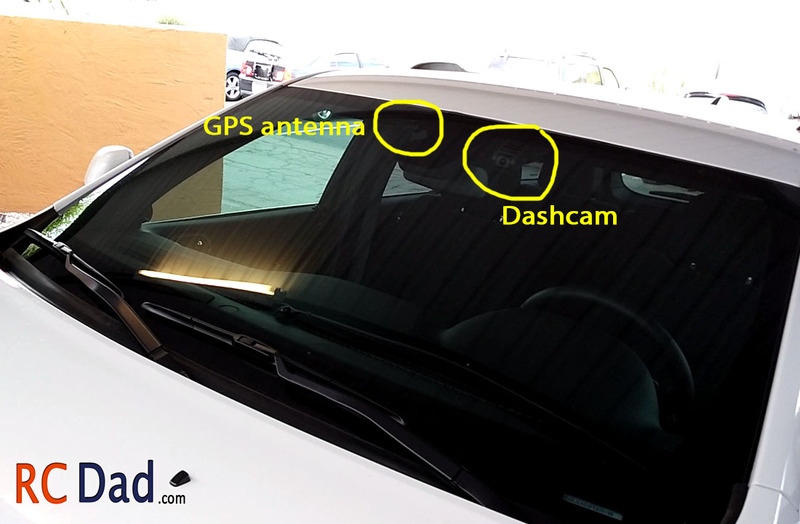 A lot of other dashcams on the market have a suction cup that hangs down and often falls off when you’re driving. I love how discrete this one is. It has a long list of features that’s too long to list so I’ll just go over what I feel is most important. 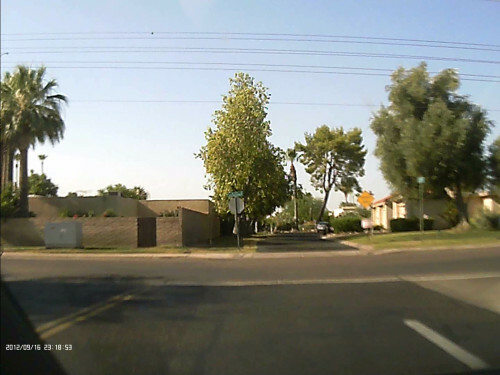 Side by side comparison of my old cheap $40 dashcam off Ebay and the A118 in the same location! Updates time using data from the GPS. 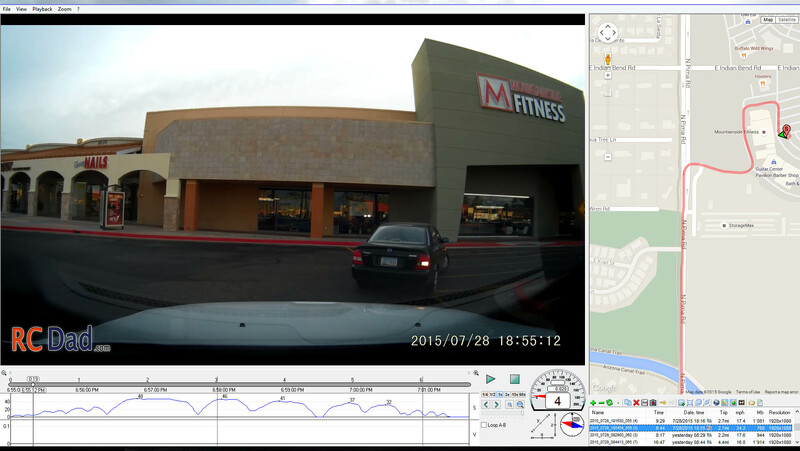 The software I use with my B40 A118 Dashcam is totally free. It’s called “Registrator Viewer” and has a ton of features! I really don’t see the need to use any of the paid ones out there because this has everything. Each video clip has GPS coordinates written into the meta data of the video file so you don’t have to worry about being tech savy. You literally just drop the video file in and everything loads. You will need an internet connection to view the maps. Thankfully I’ve never had to use my footage in court or for insurance reasons but it’s a very important piece of evidence if you ever get pulled over or get into an accident. 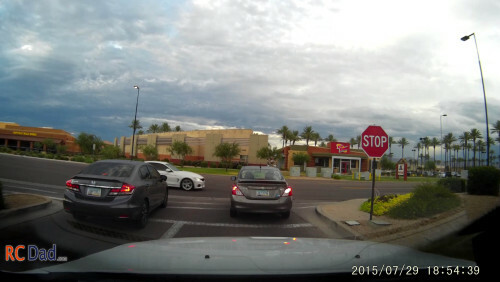 I know a lot of people who’ve been in accidents and the other person at fault tries to blame everything on them. Now, I’m not a lawyer but I’m very confident that having this much information can help determine who’s at fault. 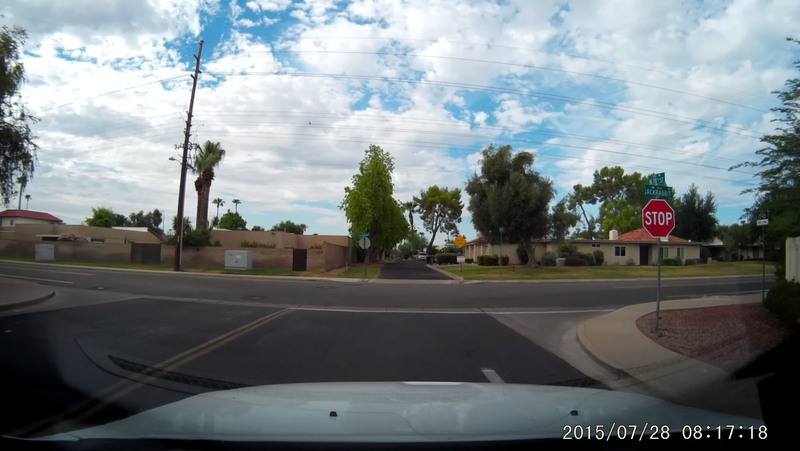 Why you should avoid cheap Dash Cams. 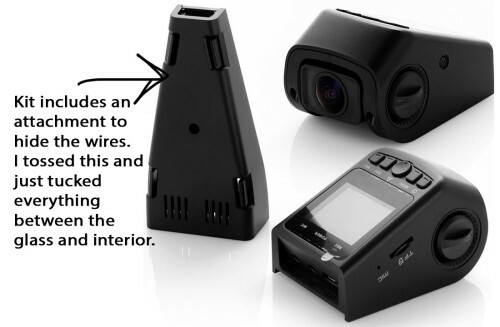 In Russia, drivers have been using dash cams for years, mostly because of the corrupt police. 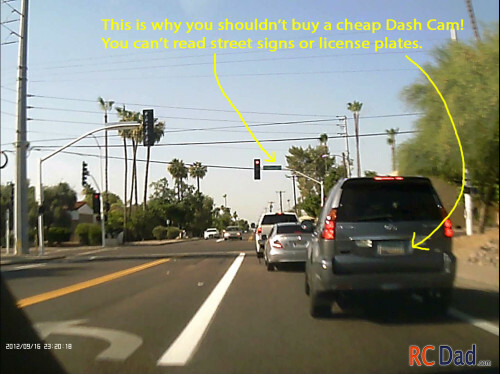 Now, if you’re ever ticketed for running a red light, speeding or whatever the cop decides to nail you with, you’ll have some pretty solid evidence on your side! Assuming you’re in the right. I’m just going to show you a few important features, there’s too many to go over everything. Secondly I switched to Google Maps because it’s what I’m familiar with, but you do have some other options in there. You can easily zoom in while playing the video or while it’s paused. Notice how clear the street signs are compared to this less expensive dashcam that I bought off Ebay for $40. You can scrub through or pick different speeds. The audio is decent, you can definitely hear a conversation. The GPS works great. I’ve compared my speed from the software to what I was actually driving and it’s spot on. And that’s all I wanted to cover about the software. I’ll included a link above to where you can find the best Dash under $100! Can you explain the loop feature? 1 min 5 min loop… does this mean it only records for 1 min or 5 min at a time? It will record 5 min clips until the micro sd card is full, at that point it will overwrite the oldest clip with a new 5 min clip. A big benefit to all those small clips is that if 1 clip gets corrupted, it doesn’t ruin the whole recording. I’m played back tons of footage and I’ve never had any problems with this Dashcam, it’s still going strong! What is the name of this dashcam application ? It’s pretty good but only allows you to use it 5 times for free. After that they want you to pay $15 for it. Hopefully a free software comes out soon! That is terrible. Thank you for the update. He is a talented programmer, no one else offers quality software like the one he created and he offered it for free. RIP Vadim Kozlov.